Even in the most prosaic and impulsive ways that we may dance or sing, write, paint or act, it is self-expression that brings to light our most extraordinary selves. 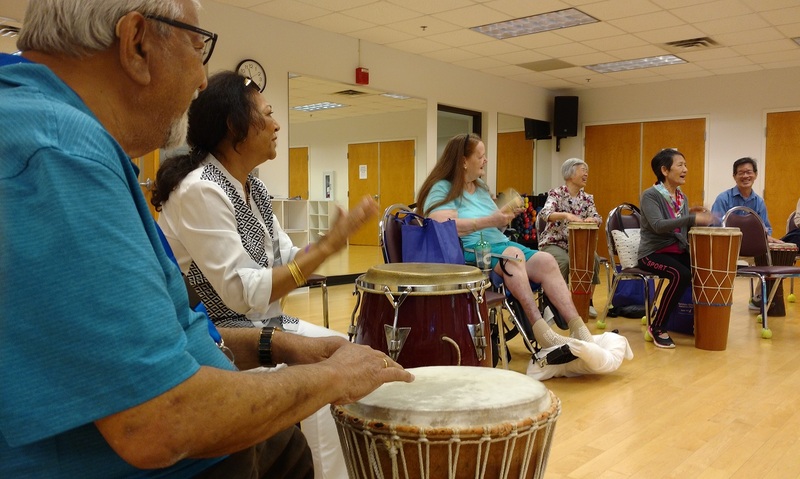 Arts for the Aging will celebrate its 30th anniversary next year--three decades combating isolation and spreading joy and better health to older adults, especially those living with aging-related health impairments. In welcoming autumn, we share with you this most recent newsletter and moments from a sparkling year to date. This fall, AFTA board members will host artful parties and salons featuring special guests, and to support our good works. To AFTA Gala-goers and newcomers alike, stay tuned. We are readying to launch anniversary and Gala celebrations next year. Partnerships are developing with the Embassy of Switzerland, and The Phillips Collection with its forthcoming Paul Klee exhibition in early 2018. Thank you, as ever, for your care, friendship and support of AFTA. Asher Hyatt was a friend to AFTA and is the father of AFTA teaching artist Anthony Hyatt. He passed away on August 27 and a beautiful memorial service was held on Saturday, September 2nd to honor his extraordinary life. He will be greatly missed.